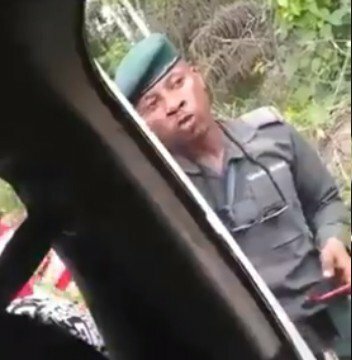 A yet-to-be identified policeman was spotted in a viral video, harassing a DELSU student whose phone he eventually destroyed for being too expensive. According to an eyewitness, the incident occurred at Okpe, Delta State after a bus conveying students was stopped was for stop-and-search. The normal routine was however taken further, as the policeman searched the phones of the passengers in which he found one of them using an iPhone. 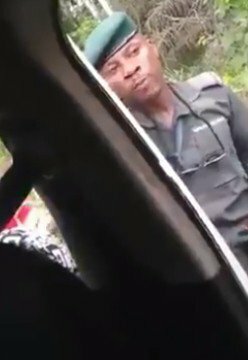 The policeman who claimed the student was into something illegal because he owns an iPhone, told those present that he has been 14 years in service and can’t afford the iPhone which costs as much as N200,000. 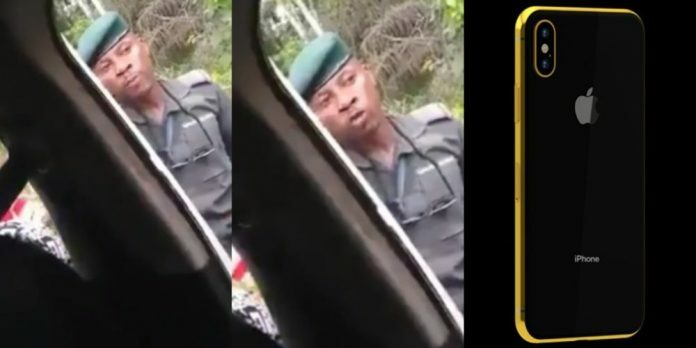 While the matter was dragged for too long as he was prevented from taking the boy away, the policeman reportedly destroyed the phone which belongs to the DELSU Student by smashing it angrily on the ground. Policeman destroys DELSU student’s phone for being expensive, says in his 14 years of service he can’t afford a #200K iPhone X! !